Another series of the Funsheets. This is for intermediate students. They read the clues, find the answers and end up with the answer of the initial riddle/joke. 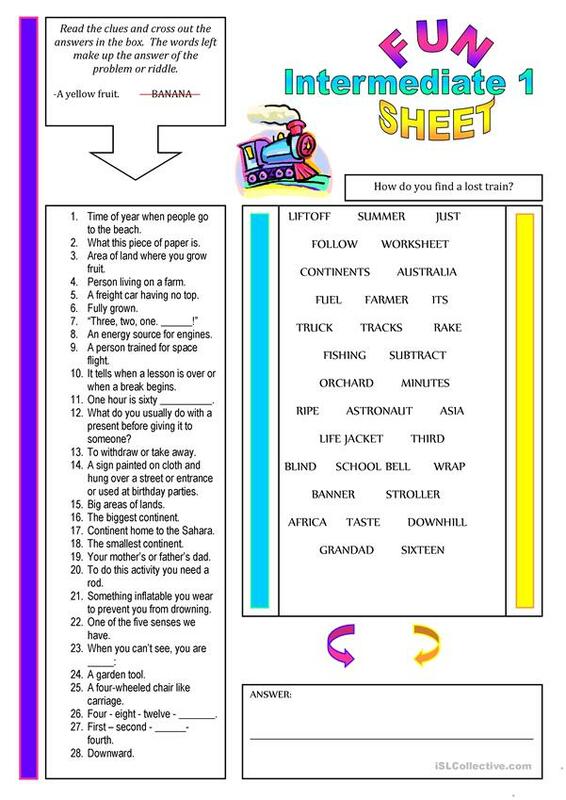 My students love these sheets and feel they improve their vocabulary. The present downloadable handout was created for high school students, elementary school students and adults at Pre-intermediate (A2), Intermediate (B1) and Upper-intermediate (B2) level. It is a valuable material for enhancing your groups' Reading and Writing skills.